The Ohio Laws and Rules (4-CPD) course by pdhlibrary.com is designed to be an interactive correspondence course. 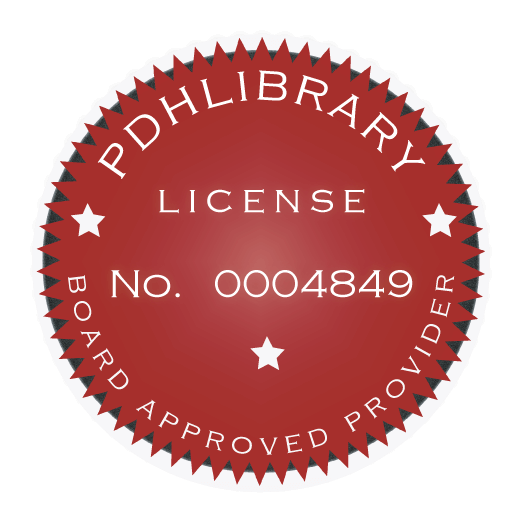 The students of this course are encouraged to contact pdhlibrary.com to discuss any question that might arise while reading the course material. All inquiries will be answered within two days or less. This course complies with the State of Ohio continuing education requirements for engineers and is backed by a money back guarantee. You will earn 4 continuing professional development hours (CPD). This course will NOT meet the state of Florida Laws and Rules Course requirement. The primary objective of this course is to keep engineers and surveyors licensed in the state of Ohio, up to date on current laws and rules regulating the practice of engineering. A focus is also placed on ethics, integrity, and the disciplinary process. Upon successful completion of the course, the student will be well versed in all pertaining laws and rules governing the practice of engineering and surveying in the state of Ohio. The entire Ohio Revised Code (R.C) Chapter 4733 is included along with Ohio Administrative Code (A.C.). - To complete the course you must pass a short 20 question multiple-choice/ true-false quiz which is intended to enhance understanding of the course materials.